As Ben Decker once said, "The Internet is not just another TV pipe." And that is why, particularly in the documentary genre, we've seen innovative filmmakers, journalists and other digital pioneers exploring the web and interactive storytelling for years now. Since 2008, IDFA DocLab, the new media program of the International Documentary Film Festival Amsterdam, has been showcasing some of the most successful experiments and emerging digital documentary genres: from data stories and interactive tablet documentaries to collaborative projects, immersive installations and even documentary robots. For the 5th consecutive year, IDFA DocLab will present some of the best new interactive documentaries out there, tools for producing them and a sneak peak of a few upcoming projects. The panel brings together IDFA DocLab founder and curator Caspar Sonnen, Head of e-culture at the Dutch Mediafund Syb Groeneveld and Bjarke Myrthu, co-founder of Magnum in Motion and CEO of Storyplanet.com. Caspar Sonnen is a Dutch festival organizer and new media curator, specialized in showcasing interactive projects and other forms of digital art that push the boundaries of traditional (documentary) cinema. 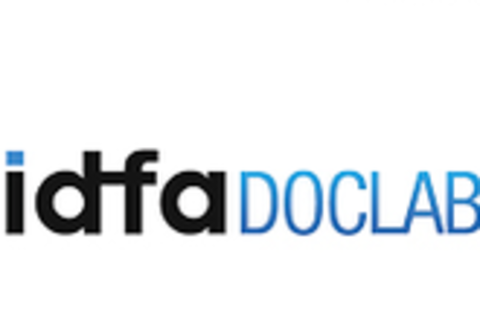 Since 2005, Sonnen works for the IDFA documentary festival, where a.o. he set up the online documentary channel IDFA.tv and the festival’s new media program IDFA DocLab (www.idfa.nl/doclab). In 2003 he co-founded Seize the Night, the annual Open Air Film Festival Amsterdam. Syb Groeneveld is responsible for e-culture and transmedia at the Dutch Media fund. He works on new cooperation and production structures between a.o. broadcasters and the creative industry. The Mediafund promotes the development and production of high-quality artistic programmes by the national and regional public broadcasting corporations. The fund (financed by advertisement revenues) provides more than 17 million Euros annually to finance radio- and television programmes and transmedia/e-culture productions (including video clips and games). Together with Dimitri Nieuwenhuizen (LUST lab) Syb currently supervises for the third consecutive year the 13th edition of the Sandberg@Mediafonds masterclass in which designers, artists and film directors work on new media formats and concepts. On Sunday 10 March, I will talk about the 'advantages of a forced marriage' (in interdisciplinary teams) and present some of the transmedia projects that were initiated in last year's masterclass. The talk is in the Austin Suite (Austin Convention Center, 3rd Floor) from 3.30 p.m. to 4.30 p.m.